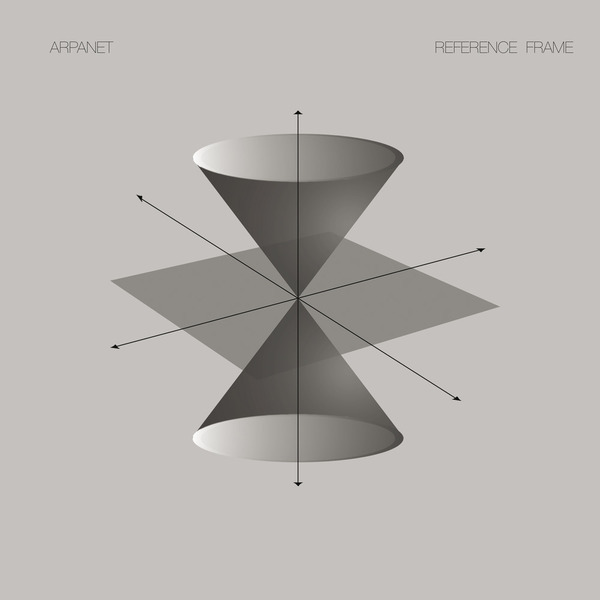 Reappearing on Air's 'record makers' imprint, the man like Arpanet drops 4 tracks of Kraftwerkian melodics and machine beats direct from the dataphysix labs. I'm not quite sure what the concept is here (previous ideas have centred around wireless communications, the advancement of the internet and biometric identification) but the sounds are textbook Arpanet/Dopplereffekt, less fractured than his Rephlex output. 'Infinite density' revolves around a languid square bass and electro rhythm with a cold robotic glaze. The rigid wonk of 'No Boundry Condition' accelerates to an Ultradyne level of dystopia before the two versions of 'event horizon' (inst + vox) decrease to sludgy currents of machine information with spooked out accompaniment. A thoroughly squashed package - very good indeed.